When Sunday rolls around in Cayman and most of the island shuts down, the main question on everyone’s mind is where’s the best brunch? 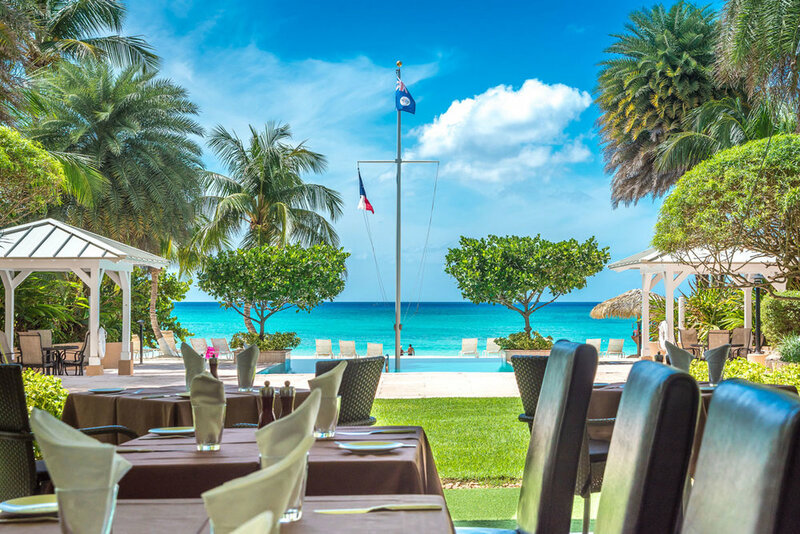 Brunch in Grand Cayman is not just a meal, it’s an all-afternoon event for everyone – couples, families and large groups of friends – and of course, Easter Sunday brunch is one of the most popular on island. 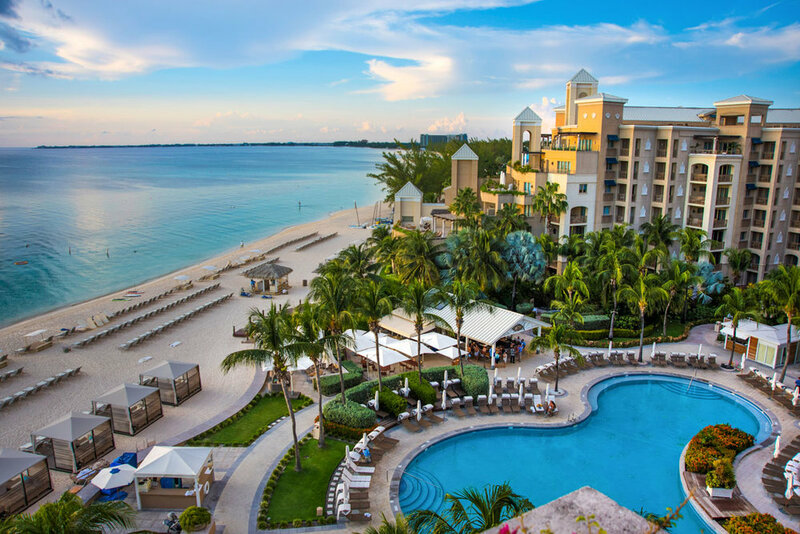 From the Ritz-Carlton to the Marriott and everything in between Cayman features some of the best brunch experiences in the world and on Easter Sunday many restaurants turn up the heat to create something extraordinary. Here is our rundown of some of Cayman’s top brunch spots this Easter. Dining with a prestige view. 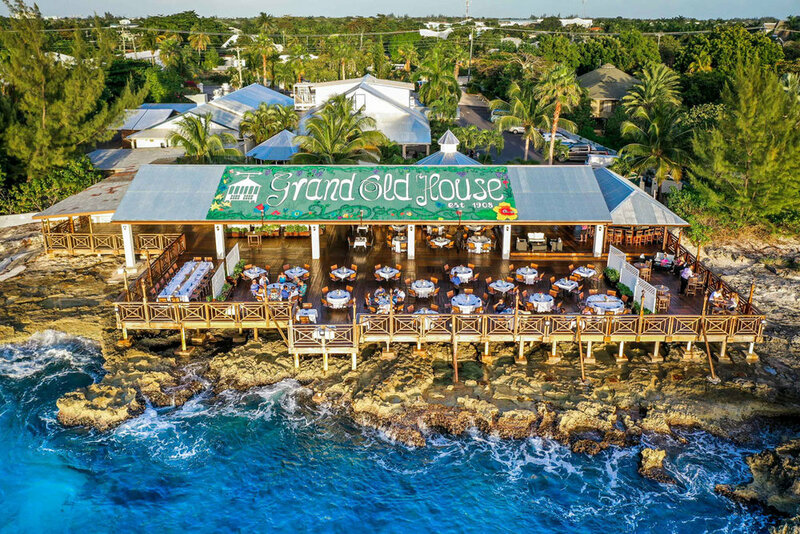 Come and enjoy the warm ocean breezes from the enormous patio at Grand Old House and find everything your heart desires including their famous Seafood Boat, which is loaded with the best the sea has to offer. Take part in live action stations where chefs prepare a variety of dishes exactly the way you like it. The brunch also features vegan options include a salad buffet and vegan curries. Perfect for families, Mary Poppins will host a day of culinary delights for a very special Easter Brunch in the Royal Ballroom. With something for everyone, the brunch features traditional breakfast favorites, a scrumptious deviled egg station, an exquisite raw bar and smoked seafood selection, a delectable carving station, and more. For the young and young at heart, the special kids’ buffet includes chicken tenders, margherita mini calzone, broccoli gratin and a selection of children’s sandwiches. A quirky array of sweat treats and of course Moët & Chandon champagne make the brunch complete. But don’t leave too early, the annual Easter egg hunt takes place after brunch on the Great Lawn. Reservations must be made in advance and the event is prepaid. With a menu that changes weekly, Sunday Brunch at Catch, located in Morgan’s Harbour, is always an incredible culinary experience. Take in views from the patio while enjoying favorites that include the benedict station, and family style offerings such as Wahoo ceviche and escovitch. The grill selections often include Moroccan lamb kofta, jerk chicken, Wahoo skewers, stuffed calamari, seared flank steak, shrimp-chorizo skewers, lobster and pineapple, and Mexican street corn. Family style desserts such as lemon curd tart and chocolate hazelnut pot cap off this incredible brunch experience. Not only do they offer Lunetta Prosecco as their bubbles, but a variety of cocktails are also included in the brunch price. Aptly titled, Sunday Funday BBQ, brunch at George Town Yacht Club is something slightly different. Set in a more relax environment, this all-you-can-eat brunch is offered every Sunday and features BBQ chicken, BBQ ribs, Cayman style fish, corn, beans, potato salad, coleslaw and more. Agua, located on the waterfront in Camana Bay, does brunch slightly different by bringing everything directly to the table for everyone to enjoy family style. A seafood restaurant rooted in Italian tradition and inspired by Peruvian cuisine, Agua’s brunch is a unique, delectable, culinary experience. The appetizer selection includes gnocco fritto & speak, leche de tigre with fried calamari, shrimp and octopus, scotch egg and East End tomato salad. A pasta course then follows featuring risotto all’ ortolana and one of house specialties, Conghiglie pasta with conch Bolognese, scotch bonnet, pimiento leaf and squid ink bread crumbs. Entrees include roasted leg of lamb and salmon with a mango pave dessert to complete the meal. Brunch includes all-you-can-drink bubbles, red, rose and white wines with the option of upgrading to their premium wine selection. An impressive contemporary Italian restaurant, Luca plans a new Sunday brunch buffet weekly including refreshing new specialty dishes, as well as classic brunch offerings. With incredible views of Seven Mile Beach, the Prosecco and mimosas flow endlessly. A brunch with all the trimmings, the breakfast station includes everything from eggs and eggs Benedict, bagels and bacon to Italian sausage along with the freshest fruits available this time of year. The outstanding seafood selection includes fresh oysters, mussels, shrimp, ceviche, sushi, sashimi, tataki and smoked salmon. The chef’s carving station often offers such timeless, luxurious dishes as Rack of Lamb and Beef Wellington and the pasta station includes a chef who will create your perfect pasta dish just the way you like it. To top things off, the dessert station features delectable treats as well as European cheeses. At 24 feet above sea level, Ave offers incredible views of Seven Mile Beach, which can be enjoyed either outdoors on the terrace or inside the open dining room. Featuring a luxurious spread of fresh seafood, a mouth-watering selection of hand-rolled sushi, an expansive cheese and charcuterie spread, live action stations and a bounty of decadent deserts, Ave is a great brunch spot. Top of your brunch with Raventos I Blanc (an iconic Cava) or chose from a craft cocktail from their liquid buffet. Stylish, gourmet and homemade is how Anchor & Den describe their brunch. The inspiration for their signature brunch is derived from the love of charcuterie, regional cheeses and homemade bread. They offer true deli specialties perfectly paired with bottomless glasses of bubbles. With a menu that changes weekly, Anchor & Den’s brunch also features breakfast selections and unique dishes that are often inspired from various regions around the world. 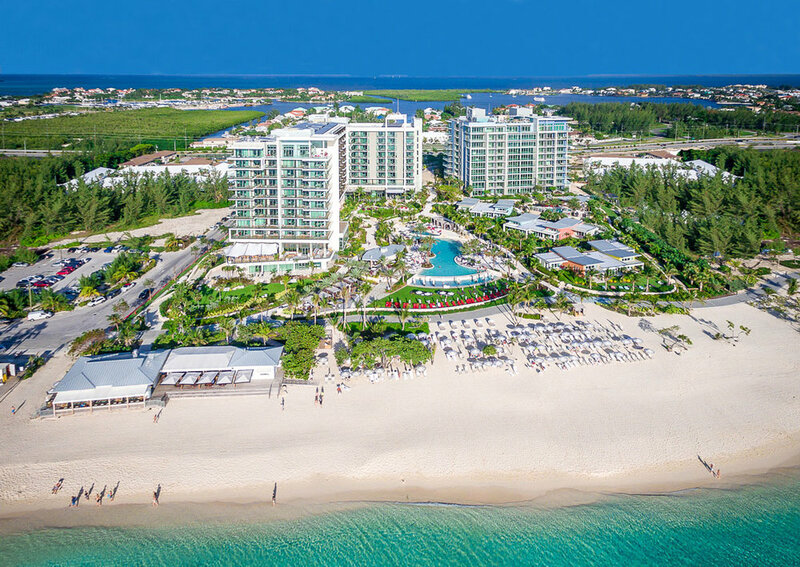 Featuring Marquis de la tour Sparkling wine, Oyster Bay Sauvignon Blanc and a margarita bar, Ferdinand’s offers a wide variety of delicious food stations coupled with amazing views of Seven Mile Beach. Delicacies include the Seven Mile salad bar, Charcuterie and artisanal cheeses, seafood and sushi bar, Cayman farmer egg station, breakfast station, soups, pasta and mac and cheese bar, Keema Pav Slider station, Dim Sum station, a carving station and of course desserts to finish off the meal. 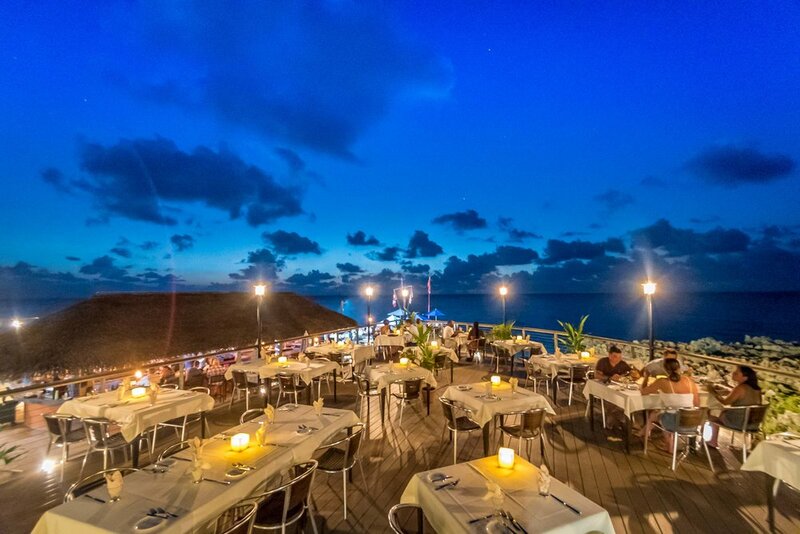 Located in East End, Tukka offers a taste of Australia with a Caribbean Twist with seating available on the beach, balcony or inside. The brunch menu at Tukka changes extensively every week, but many of the regular favorites include the breakfast buffet with eggs benedict done to your order, a cold buffet that includes sushi and California rolls filled with salmon, tuna, shrimp, avocado, kangaroo and vegetarian options. The BBQ station is manned by a chef and features hickory smoked BBQ with both chicken satays and Argentinean chorizo sausage skewers with grilled king prawns. Braised CAB beef, Mahi Mahi Cayman style, jerk chicken, curry and more are featured in the hot buffet section. But, of course, you can’t skip dessert! With a new hot dessert weekly from everything from peach cobbler to mango cheesecake, everyone should leave room for dessert. Make sure you don’t miss the feeding of the Frigate Birds at 1:00 pm. 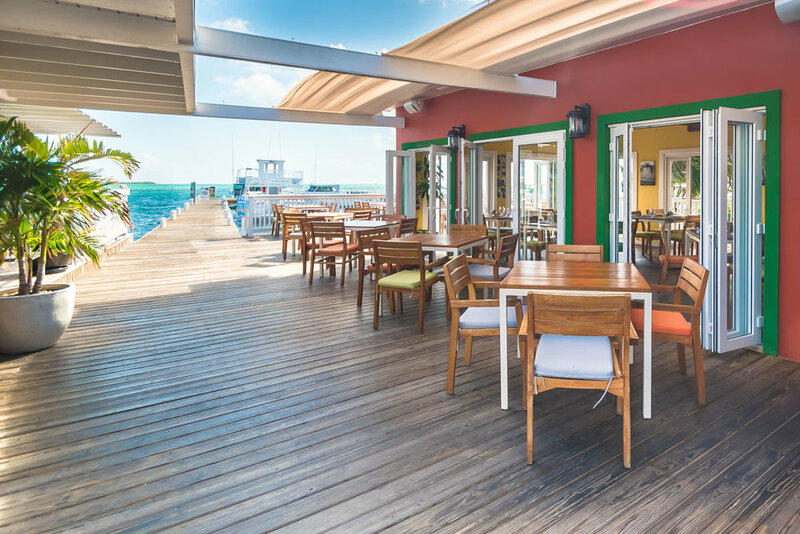 Featuring an a la carte menu the Cracked Conch offers a wide variety of delicious food coupled with incredible views from their waterfront deck. Delicacies include Conch Chowder, their world-famous Cracked Conch, Lobster Thermidore, and Beef Wellington, as well vegetarian options and of course desserts to finish off the meal.